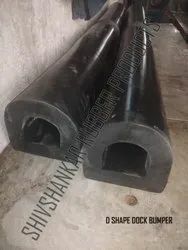 Providing you the best range of d type long rubber fenders, hollow cylindrical rubber fender, rubber fender o shape (wing), cylindrical rubber fender, m shape rubber fender and rubber fender with effective & timely delivery. 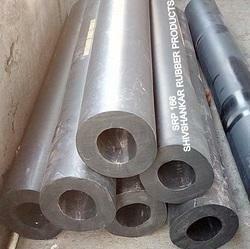 We are engaged in manufacturing and supplying a huge assortment of D Type Long Rubber Fenders. Ideally used in bump protection at loading and unloading bays, this Rubber D Fender is offered in different dimensions and lengths in order to meet varying requirements of our customers. 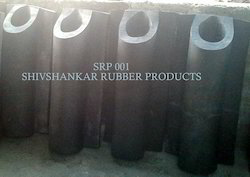 Owing to our technical prowess, we have surpassed the competition by manufacturing and supplying best quality Hollow Cylindrical Rubber Fender. Fabricated using high grade retro reflective material these rubber fenders are robust in quality and highly durable. Further, our strict quality supervision assures our clients with its remarkable attributes of flexibility and cost efficiency. 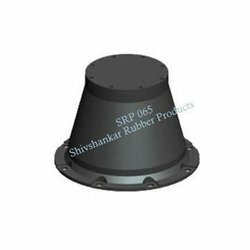 Rubber Fenders offered comprises EVA foam filled fender finish that also feature use of polyurethane material in its outer protective layer and polyethylene foam core so as to provide for reliable functioning support. 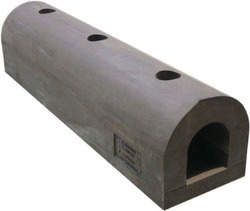 Further, these fenders allows for superior absorption of impact energy and support reducing destructive effect to pier, vehicles and other things. Some of its features include makes use of polyurethane foaming material or plastic foaming as buffer medium; resists wear and tear; provide for tough, heavy-duty usage. 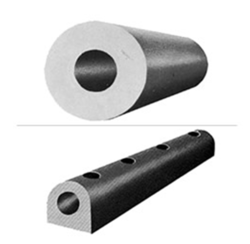 We are a trustworthy organization in the market, actively engrossed in offering a wide gamut of Cylindrical Rubber Fender. 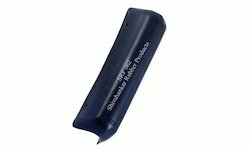 We are delicately involved in manufacturing & supplying high quality Standard M Type Fender. 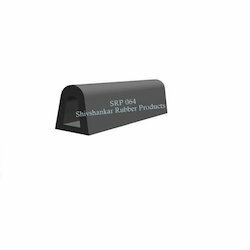 These informatory Rubber Fender are developed at our state-of-the-art manufacturing facility using high grade retro reflective material. The material used in manufacturing process is sourced from most trusted vendors of the market. M Type fenders are installed on to the bow and the aft portions of Ocean going tugs, to product the hull of the vesse, against damages caused during pushing and pulling operations / to wage . These fenders are installed in similar manner as those of key Hole Fenders. 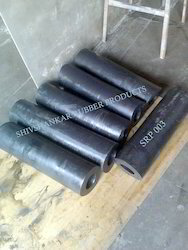 Leveraging on our vast industry experience, we are providing a broad array of Rubber Fender. 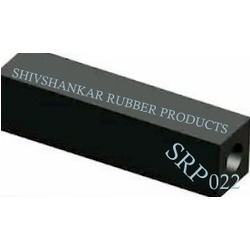 The offered Rubber Fender is designed for ports and is precisely manufactured using superior class rubber and ultra modern machines under the direction of our experts. 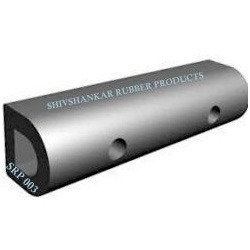 Providing you the best range of d type long rubber fenders, rubber small d fender, boat fenders, rubber fender, srp 166 cylindrical rubber fender and rubber fenders with effective & timely delivery. 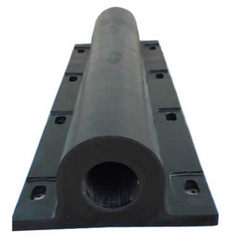 The offered Rubber Fenders is designed for ports and is precisely manufactured using superior class rubber and ultra modern machines under the direction of our experts. Packaging Details: Per Bag Only 1 nos. packing.minimum weigh is 65 kgs. 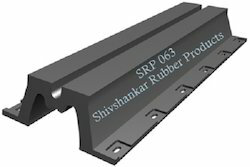 SRP produces cylindrical Bow Rubber Fender from a very durable rubber. Depending on the diameter of the fender unit lengths of up to 2metres can be provided. Connection plugs can be used to make longer lengths. The maximum diameter of this type of fender is 1000 mm. 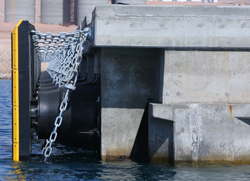 Most cylindrical bow Rubber Fenders can be customised according to customer specifications. 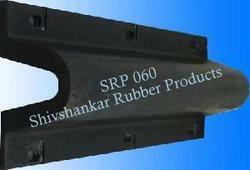 We are a leading manufacturer and supplier of Delta Rubber Fender. We have manufactured all types Rubber Fender like as D fender, M Fender, W Fender, M Fender, I Fender, O Fender, Delta Fender & Cone Fender also. We are a leading manufacturer and supplier of Silicon C Type Aluminium Section Gasket. We are a trustworthy organization in the market, actively engrossed in offering a wide gamut of Boat Fenders. Backed by our team of meticulous professionals, we are instrumental in manufacturing and supplying high performing Square Shape Rubber Fender. Highly trusted for its unique shape and durable attributes the offered rubber fenders are one of the best selling designs featuring strength and durability. 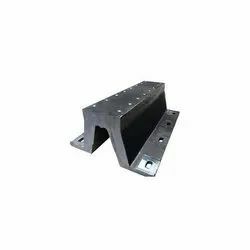 Further, we implement leading extruded mechanism to fabricate the shapes of these fenders which can be ordered from us in varied dimensions at a competitive price. Designed for use on tugs and barges, they offer long term durability for applications where repeated compression cycles are encountered in pushing service. They also offer the excellent physical characteristics needed to handle the high loading which occurs both on initial contact, and throughout the service cycle. It could be equipped both at the smaller and at the top front of the harbor as the second defense line together with the other fenders. Normally, it should be equipped continuously so as to avoid the direct impact by the ships when abnormal harboring happens. 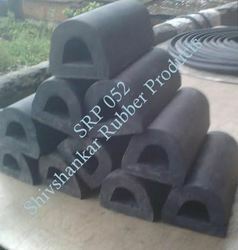 We have manufacturing all types size of W Shape Rubber Fender.